An immigrant from Boddinoc, Cornwall, Trevanion Hugo moved to Kingston, Ontario, while still a boy. He worked as a machinist before becoming an engineer on Great Lakes steamers, settling in Duluth in 1881 to take a job as the chief engineer of grain elevator B. He served as a city alderman and director of the Board of Education before his election. As a Republican he ran against popular Democratic incumbent Henry Truelson, who the papers thought would win handily. Instead, Hugo won—by six votes. A recount cost him one vote, but he had gained the office. 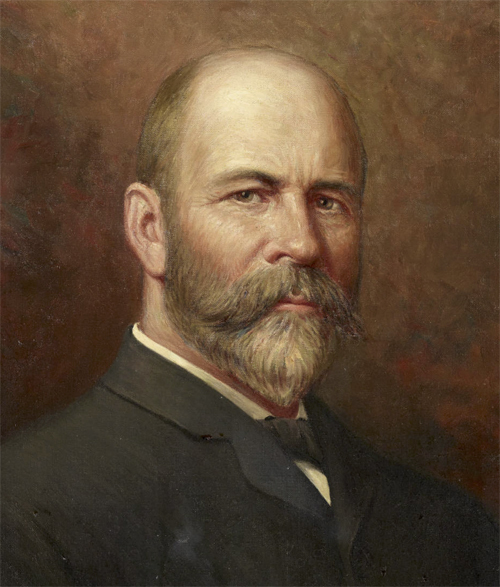 In November 1901 he announced he would not seek reelection. Despite this, Hugo’s supporters began a petition drive that convinced him to run again. On February 4, 1902, he went up against Truelson once again, this time winning by eight votes. Hugo joked that he congratulated himself that he had “made two new friends” between elections. The recount went back and forth, and in the end, Hugo again had a plurality of just six votes. Hugo was so popular as mayor that in 1920 he was called upon by his fellow citizens to act as interim mayor after Clarence Magney resigned so he could run for Sixth District Court Judge. As that term ended, Hugo was again asked to run for mayor; this time he declined. He died suddenly in Duluth in February 1923. At the time of his death, he was one of the most prominent Masons in the world as grand chancellor of the supreme council of Scottish Rite Masonry and sovereign grand inspector general for Minnesota. Hugo is the namesake of Hugo, Minnesota.